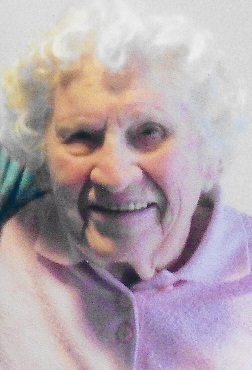 Martha Marie Dansberger, 99, resident of the Carroll Lutheran Village in Westminster, Maryland, died peacefully on Friday, November 30, 2018 at the Carroll Lutheran Village Healthcare Center. Born on June 26, 1919 in Baltimore, Maryland, she was the daughter of the late Thomas and Martha (Strecker) Ryan. 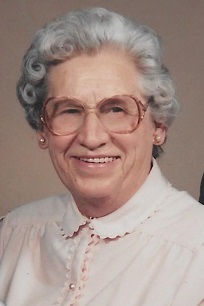 She was predeceased by her husband, George H. Dansberger in 1990. Martha was very dedicated to her family and loved spending time with her grandchildren. She was a very active member in the past of Calvary Lutheran Church in Hamilton and the Auxiliary of Augsburg Lutheran Home in Baltimore. Upon moving to CLV, she was very active in Village social groups and the crocheting group. She also enjoyed line dancing. Surviving her are daughters, Janice M. Harste and husband Jerome of Bloominton, IN and Ellen Louise Edwards and husband Lloyd of North Charleston, S.C.; son, George Russell Dansberger and wife Carol of Finksburg; daughter-in-law, Linda Dansberger of FL; 10 grandchildren; 15 great-grandchildren; and several great-great-grandchildren. Also surviving are several nieces and nephews. She was predeceased by a son, Raymond E. Dansberger; daughter, Carolyn V. Norris; sisters, Annetta Svitak and Doris Payne; brother, James Ryan and his twin infant sister, Catherine Ryan. The family will receive friends on Thursday, December 6, 2018 from 10:00 a.m. until the time of a Funeral Service at 11:00 a.m. at the Carroll Lutheran Village Krug Chapel, 300 St. Luke Circle, Westminster, MD with the Rev. Jimmie L. Schwartz officiating. Burial will follow at 2:00 p.m. in Parkwood Cemetery in Baltimore. Arrangements have been entrusted to the MYERS-DURBORAW FUNERAL HOME in Westminster. Memorial contributions may be made to the Carroll Lutheran Village Resident Assistance Fund, 300 St. Luke Circle, Westminster, MD 21158.